This year the 4 th Annual Southeast She Got Game Classic moved to Powder Springs (just north of Atlanta), Georgia, from Murfreesboro, Tennessee, and grew from eight to thirty-three teams with 30+ college coaches attending at least one day of the event which ran over the January 4-6 weekend. A few scouting services were also in attendance. Host McEachern beat Rufus King of Milwaukee, Wisconsin 47-39 and Montverde Academy out of Florida 49-47. Both results were considered upsets. Westlake of Atlanta beat Florida State University High School of Tallahassee, Florida, 81-58 and then Rufus King 63-57 in a battle between two of the top teams of Georgia and Wisconsin. Undefeated Wesleyan School of Norcross, Georgia, defeated Florida power Dillard of Fort Lauderdale 63-57 in a game that saw the lead exchange hands several times. 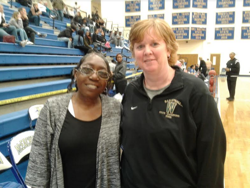 The match-up pitted Naismith Hall-of-Fame coach Marcia Pinder (nine Florida state titles) versus Jan Azar (13 Georgia state titles). In a battle of private schools, up and coming Holy Spirit Prep (Atlanta, Georgia) upset DME Sports Academy (Daytona Beach, Florida) 63-62. Looking at some of the individual talent viewed in alphabetical order with listed height, position and school within graduation year. Several others could have been discussed but those below stood out when viewed. Location of school is in parenthesis. Signed with Southern University, Johnson plays with a high motor (like most Dillard players). In posting 20 points in the loss to Wesleyan, she scored vis attacking the basket, converting offensive rebounds, getting to the foul line and hitting the mid-range shot. Signed with Louisville, Parker is a good player able to score in the paint due to combination of height, stroke in the paint and above average athleticism. Given her talent, people have (perhaps unfairly) come to expect more from her looking for her to be more active in movement without the ball and more explosive when attacking the basket. She posted 11 points in her team’s 54-30 win over Northwest Guilford of Greensboro, North Carolina. Signed with Cincinnati, Tuff, a good athlete, posted 41 posts total in her (still undefeated) team’s two victories at the event. Although she will attack the basket, Tuff appears to prefer the perimeter shot (behind or within the arc). Mcmillan is a field general who can (but prefers not to) shoot the ball. In scoring 12 points in her team’s 56-50 loss to Westridge Academy, she showed a nice baseline drive, some scoring in the key and hit two threes. In spite of losing in overtime (69-59) to Westridge Academy, the Trushel twins left their marks on the contest by stoking from the perimeter. 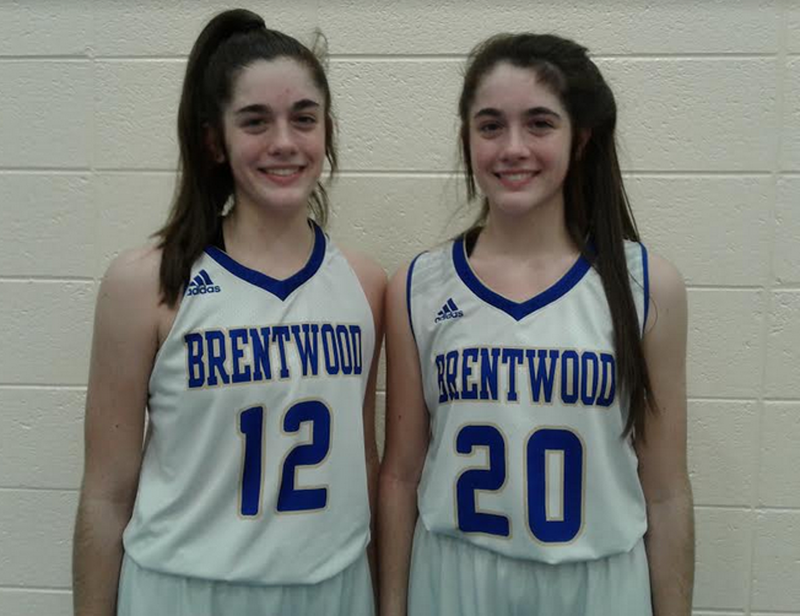 Emily hit six threes (22 points) and Delaney hit the three that sent the game into overtime finishing with 13 points. Johnson is like the mailman in that she shows up each game. First and foremost, she takes care of the ball. Considered one of the top point guard prospects in the 2021 class, she can score in attacking or shooting at mid-range from the perimeter. On a team with only limited secondary ball handling, Lyons caries a big load running the offense and scoring points. In the win versus Dillard, she posted 14 points (some drives, a few threes) before going out with a late game injury. Without her, Wesleyan barely hung on for the last two minutes which saw the lead go from ten to three before Dillard was pushed back. Rosier looks to score. In the 81-58 loss to Westlake, Rozier notched seven threes in scoring 27 points. Turnage is known on the club circuit as a big time recruit due to her height and her ability to go inside or out to score. The knock on her has been long disappearances during games where she should dominate. 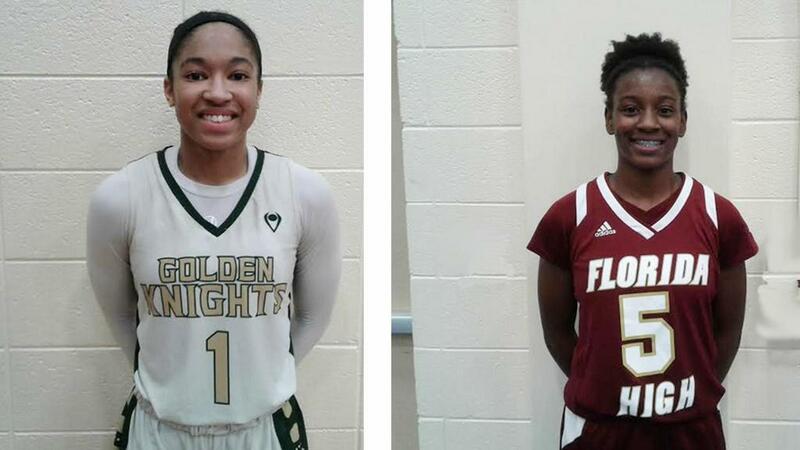 In the win over Florida State University High School, she barely scored in the first half, then putting up almost all of her 22 points in half two via drives and foul shots. Ellis came off the bench posting five threes (17 points) in the 47-39 upset win over Rufus King. At this point, her game is primarily catch and shoot from behind the arc. Hardy is a rebounding machine in training. Her offense is still pretty raw but her upside is definitely somewhere above the middle of Division 1 programs. Morgan is a Power 5 recruit able to break down most defenses attacking the basket thanks to strong handles. 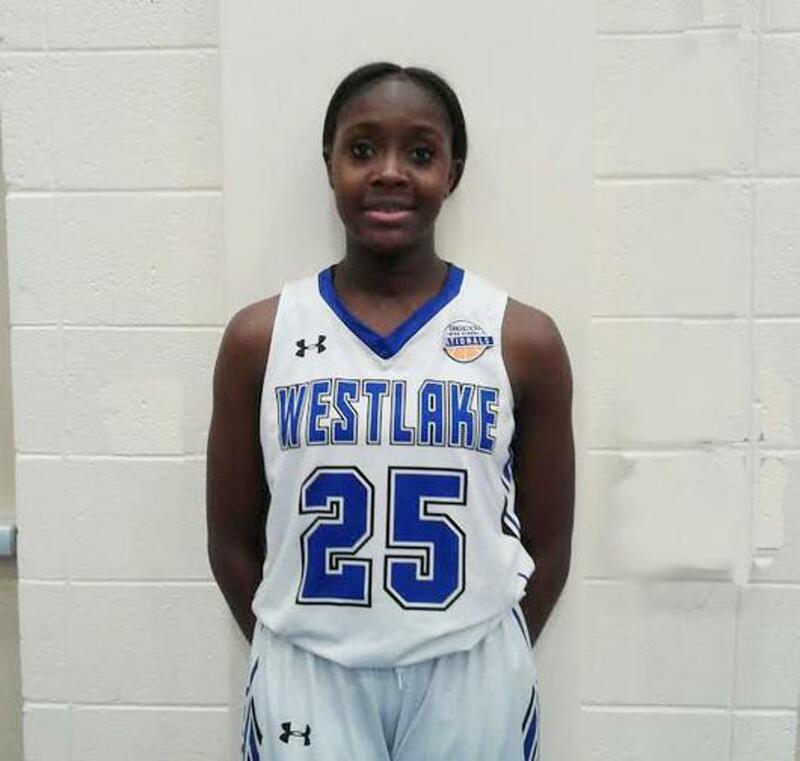 She posted 21 points in the loss to Westlake.